It's easier than ever to save with Falhumaafushi vacation packages on Expedia. You'll have heaps more time to plan your exciting experiences — and more cash to splash! You can select from more than 400 partner airlines and 321,000 worldwide properties on our global database of flights and accommodations. Fly with who you want, stay where you want — now that's the perfect vacation! You never have to worry about postponing your group's travel itinerary, as we don't charge additional cancellation fees for almost all of our hotel bookings. Getting excited about your trip to Falhumaafushi? Looking for a few pointers about what to do when you get there? That's what we're here for! So you've seen all there is to see on the mainland. Wondering what to do next? Maybe now's the time to set sail and have a look around Kodahuttaa Island. Still got time on your hands? Do you feel like a postcard-worthy afternoon by the shoreline? Bring a camping chair and find the best spot to drink in a brilliant ocean sunset at Hadahaa Beach. 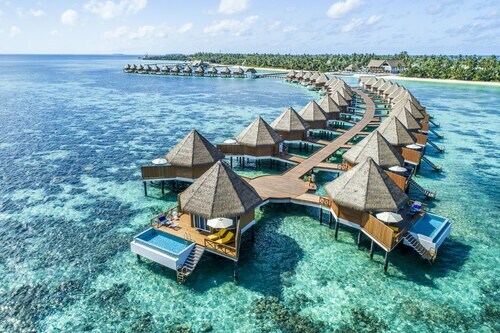 Regrettably, there aren't very many accommodations to select from in Falhumaafushi. 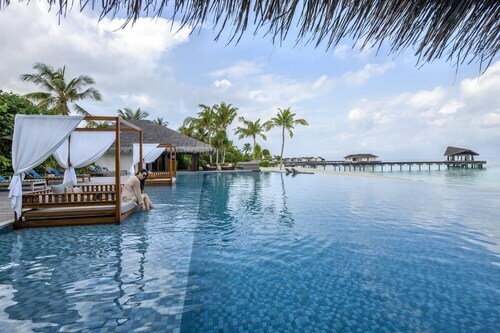 The Residence Maldives (Falhumaafushi) is the only Expedia-listed property close by. Make your way through the security gate, board the aircraft, track down your allocated seat and get cozy! Your trip to Falhumaafushi isn't far off now. After hitting the tarmac at Gan International Airport (GAN), you'll find yourself situated 95 miles (153 km) from the center of town. Nestled on the beach, this Falhumaafushi resort is 0.1 mi (0.1 km) from Falhumaafushi Dock. Located by the ocean and set on a private white sand beach, this Hadahaa resort is within walking distance of Hadahaa Beach. 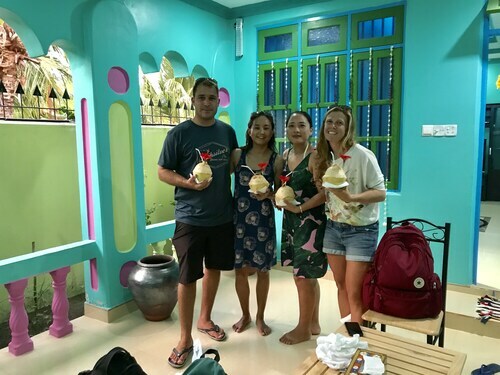 Set on a private white sand beach, this hotel is in Kooddoo, within the vicinity of Kooddoo Harbor and Kodahuttaa Island. Located by the ocean, this family-friendly hotel is 0.4 mi (0.6 km) from Kodahuttaa Island. Nestled on the beach, this Nilandhoo hotel is 0.1 mi (0.1 km) from Falhumaafushi Dock. 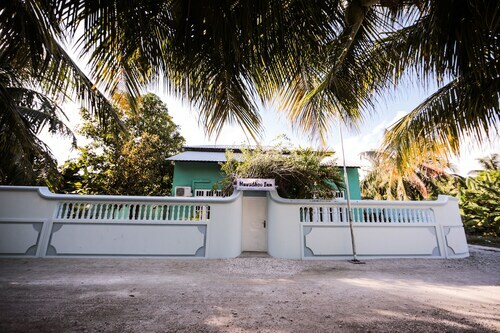 Situated in Maamendhoo, this guesthouse is 0.8 mi (1.3 km) from Kodahuttaa Island. 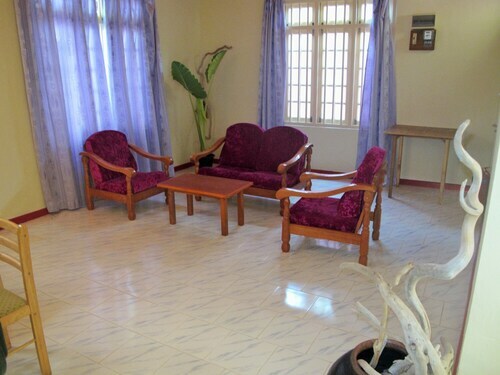 Situated near the beach in Viligili, this guesthouse is close to Kooddoo Harbor. Area attractions also include Kodahuttaa Island and Falhumaafushi Dock. 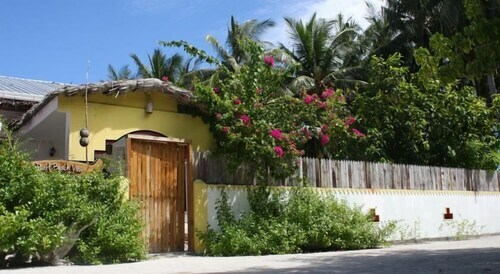 Nestled on the beach, this Maamendhoo guesthouse is 0.2 mi (0.3 km) from Kodahuttaa Island.